U.S. Application #20080286209 “Composition and methods for treatment of neurological symptoms associated with alcohol withdrawal”. Inventors: Jean-Baptiste Roullet, John Crabbe and Pam Metten (February 2005). 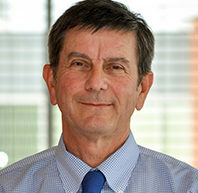 Roullet is a clinical professor in experimental and systems pharmacology. Musser ED, Hawkey E, Kachan-Liu SS, Lees P, Roullet J-B, Goddard K, Steiner RD, Nigg JT. Shared familial transmission of autism spectrum and attention-deficit/hyperactivity disorders. J. Child Psychol. Psychiatr., 21 Jan 2014 (on line). Buse JB, Kaufman FR, Linder B, Hirst K, El Ghormli L, Willi S; HEALTHY Study Group. Diabetes screening with hemoglobin A(1c) versus fasting plasma glucose in a multiethnic middle school cohort. Diabetes Care, 2013;36:429-435. Hall WJ, Zeveloff A, Steckler A, Schneider M, Thompson D, Pham T, Volpe SL, Hindes K, Sleigh A, McMurray RG; HEALTHY Study Group. Process evaluation results from the HEALTHY physical education intervention. Health Educ. Res., 2012;27:307-318.